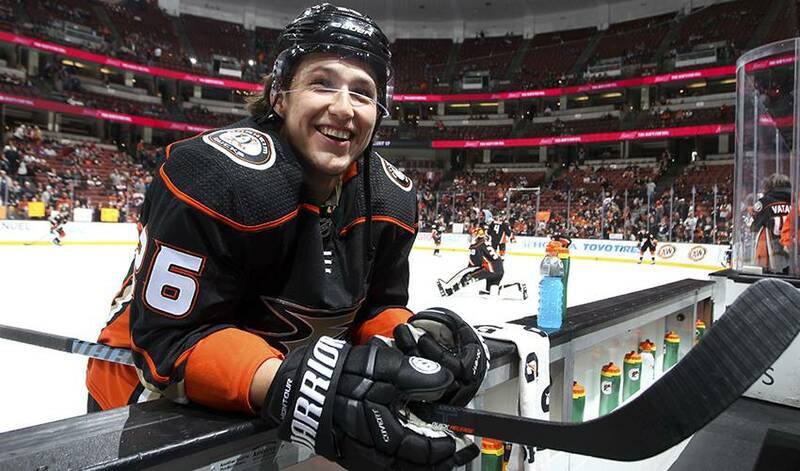 ANAHEIM, Calif. — Defenceman Brandon Montour has agreed to a two-year, $6.775 million contract through the 2019-20 season to stay with the Anaheim Ducks. The Ducks announced the deal Tuesday with their restricted free agent. Montour had nine goals and 23 assists in 80 games last season, his first full NHL campaign. The smooth-skating blueliner scored five game-winning goals, matching the franchise record for defencemen. He has scored 38 points in 107 career regular-season games. He has already appeared in 21 NHL playoff games, including 17 during the Ducks' run to the 2017 Western Conference Finals. Montour and the Ducks were scheduled for an arbitration hearing later Tuesday.